20-11-2014: KIA KX3 small C-segment SUV shown as a 'concept' at 2014 Guangzhou Motor Show, designed to appeal to young Chinese consumers. The KX3 concept blends an SUV silhouette with sporty looks, featuring a coupé-inspired glass area, small rear spoiler, gently rising belt-line and muscular wheel arches. KIA's trademark ‘tiger-nose' grille gets a new matte chrome-look surround, which sits below the concept's wraparound LED headlights. The KX3's high ground-clearance and chrome-look body cladding around the base hint at the concept's four-wheel drive capabilities and on-road stability. 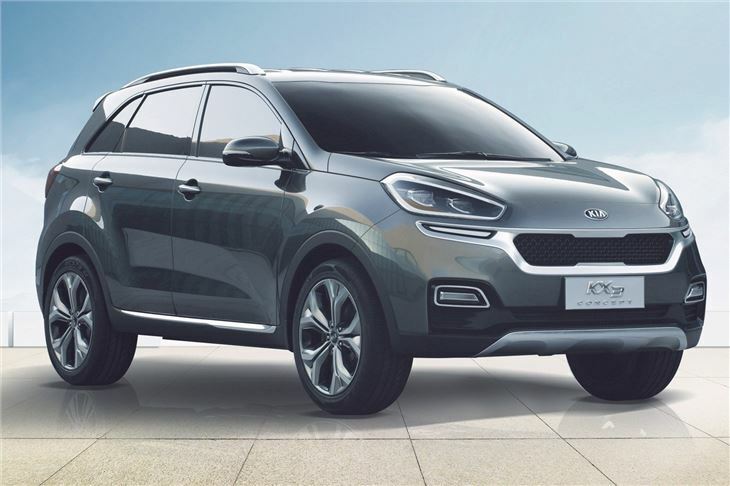 The KX3 concept has been designed and engineered exclusively for the Chinese car market through Kia's DYK joint venture. 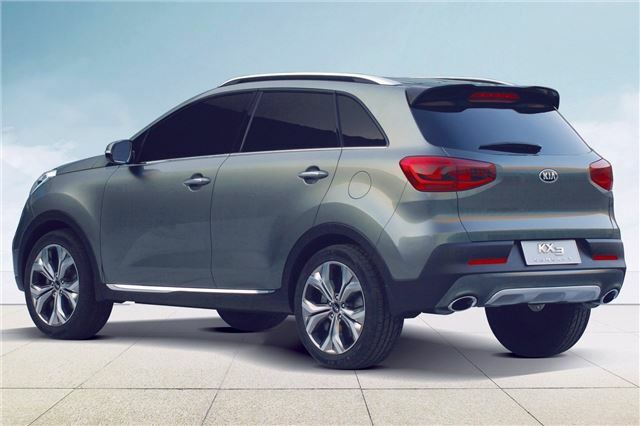 Kia Motors has yet to confirm whether the KX3 concept will be put into production.